When we hear of a loved one passing, one of the first thoughts to spring up is whether or not to send sympathy flowers. For centuries, flowers have been a part of the funeral planning process, providing beauty and comfort to the family in what is obviously a high-stress situation. However, with so many funeral flower providers and funeral etiquette rules to follow, it can be difficult knowing where to start. Here are a few guidelines for selecting the perfect arrangement and for making sure your flowers arrive on time for the funeral. Ideally, you should arrange for the purchase and delivery of funeral flowers as soon as possible—but not so early the flowers arrive before the funeral occurs. The best idea is to wait until the funeral home and date of service have been arranged. Most funeral flower companies can use that information to coordinate the delivery with the funeral director, ensuring that your gift arrives on time to be showcased at the memorial service. Of course, there is no time limit on this sort of thing. If you live out of town or were away when the death announcement was originally made, you can arrange for a sympathy arrangement to be sent to the family well after the service. In fact, since they may be overwhelmed with flowers immediately after the funeral, this slight delay can provide comfort in the weeks following the death. These days, many people are opting for themed funerals, green funerals, memorial services in a specific location, and other types of services that come with restrictions. 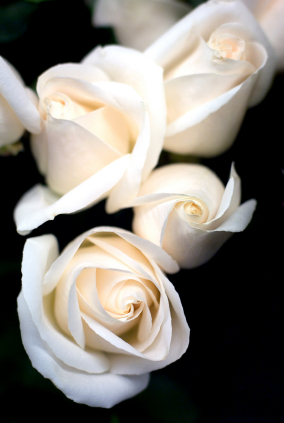 If you aren’t sure what kind of funeral flowers to send (or if the family wishes to receive them at all), you can talk with the funeral home in charge of the service. They can direct you to a local florist and ensure that your gift is in keeping with the tone of the funeral. Funeral homes and florists can also help you decide what types of blooms to send. Traditional funeral flowers (things like lilies, chrysanthemums, carnations, and roses) tend to do well for all memorial events, but the heavy somberness of these flowers can become oppressive. One great idea is to rely on what’s in season locally—again, this is where contacting a florist in the city can come in handy. Many times, the family will request a monetary donation (usually to a charity) in place of flowers. This is done to cut back on the amount of flowers that must be attended to after the funeral, as well as to practice things like charitable giving and eco-friendly funeral practices. In some cases, there is also a religious component to this type of situation. It’s almost always best to honor the family’s request when this situation occurs. While you can still send flowers, it’s important to remember that the family is most likely overwhelmed right now, and the best thing you can do for them is to honor the deceased in a way that doesn’t contribute negatively to their emotional state.